Enjoy professional service, chic accommodations and a convenient location at our pet-friendly hotel in Rockford. Amenities include free WiFi, free hot breakfast, meeting space, a fitness center and an indoor heated pool. Guest rooms feature microwaves and refrigerators, premium bedding, work desks, flat-screen TVs and coffee makers. 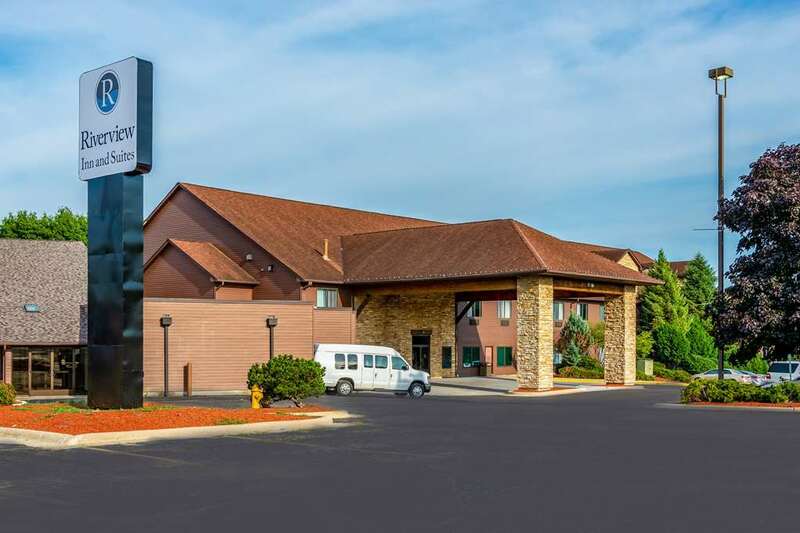 As a guest of our hotel in Rockford, you will have easy access to activities and attractions like the Coronado Theatre, Anderson Japanese Gardens, Discovery Center Museum, Nicholas Conservatory and Gardens, Burpee Museum of Natural History and the Midway Village Museum. Create a memorable stay at our Riverview Inn and Suites, an Ascend Hotel Collection Member. Our boutique hotel offers relaxing guest rooms and friendly staff members that can introduce you to the unique sights and experiences in the local community. Do not forget that you can earn rewards, including free nights and gift cards, with our Choice Privileges Rewards program. Pets allowed. 25.00 USD per pet per night. 2 pets per room. Dedicated in 1911 as "The Eternal Indian," but the locals call it Chief Black Hawk. At 48 feet high, it's the second-tallest monolithic concrete statue in the world. It cracked in the brutal Winter of 2014 and was wrapped like a mummy in black plastic until June 2018. The fiberglass mascot of Harvard's "Milk Day" is on the job year-round at a busy street intersection, "The Milk Center of the World."